Another Mandela Day has come and gone with great fanfare and joy as South Africa remembers our first democratically elected president. 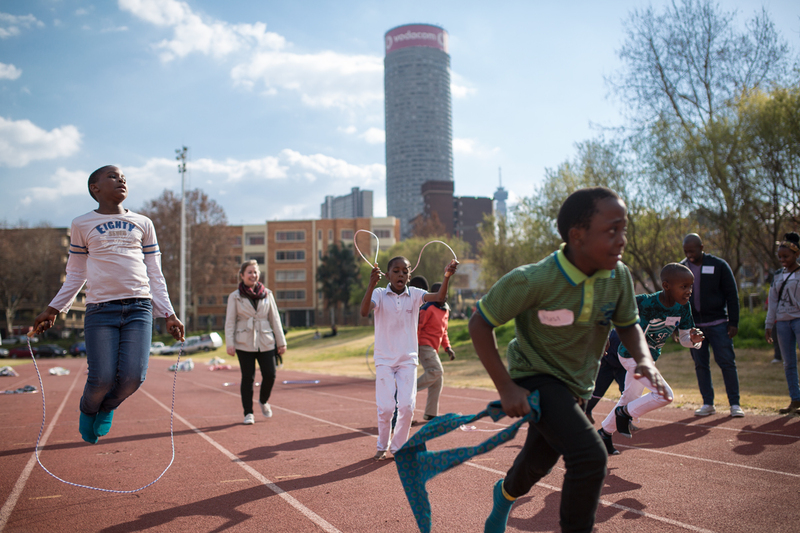 Dlala Nje joined forces with Hot Dogs for the Homeless South Africa to host the biggest Mandela Day event in our history. Over 50 volunteers gave up their day on Sunday the 17th of July to emulate the life lessons Madiba taught the world. Selfless sacrifice for the betterment of your fellow man. 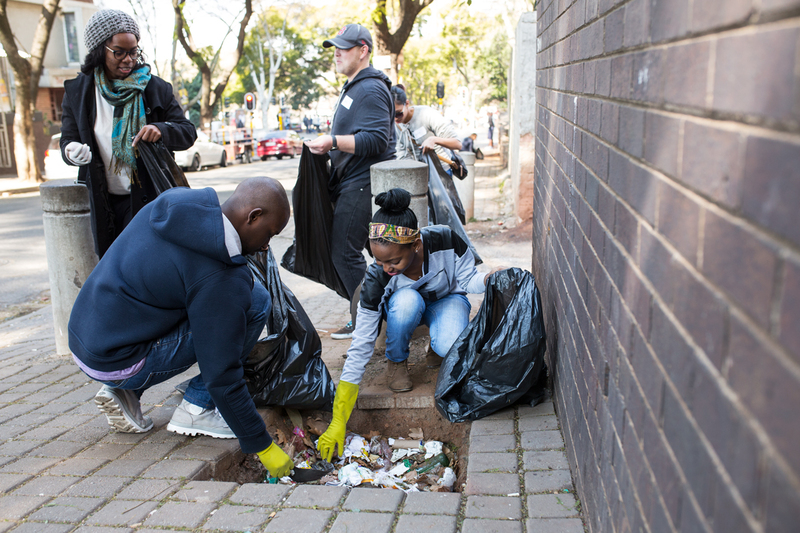 What made this Mandela Day litter blitz particularly special was the run up to the event. 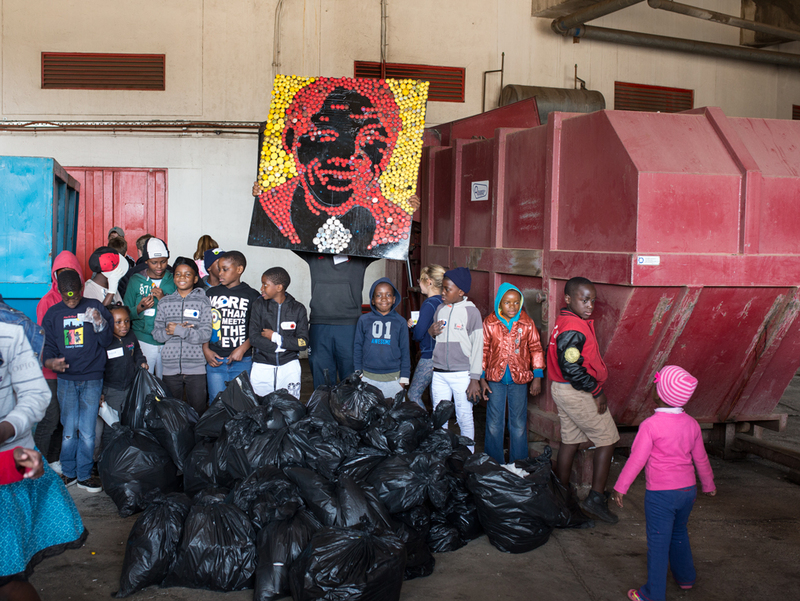 Local artist Desire Seko created a Mandela inspired art piece with the Dlala Nje children made out of litter and junk. In the weeks preceding Mandela Day the kids collected bottle caps from all over Hillbrow to create Madiba’s face emblazoned on chipboard. 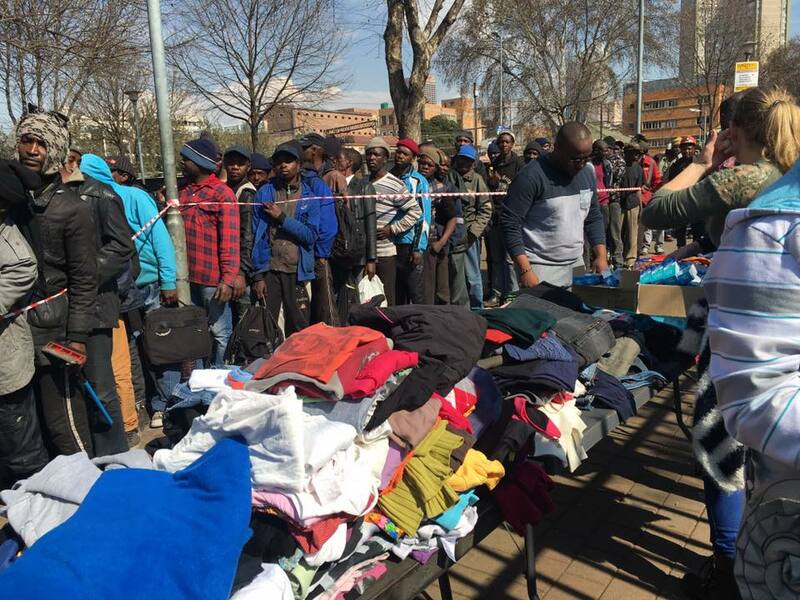 At the same time, a station was set up on the corner of Nind and Joe Slovo streets to distribute blankets and clothing to some of city’s most unfortunate folk. Truth be told we learned a valuable lesson that day – never to blindly give away to the community. A dangerous mixture of desperation, substance abuse and criminal intent resulted in general anarchy. 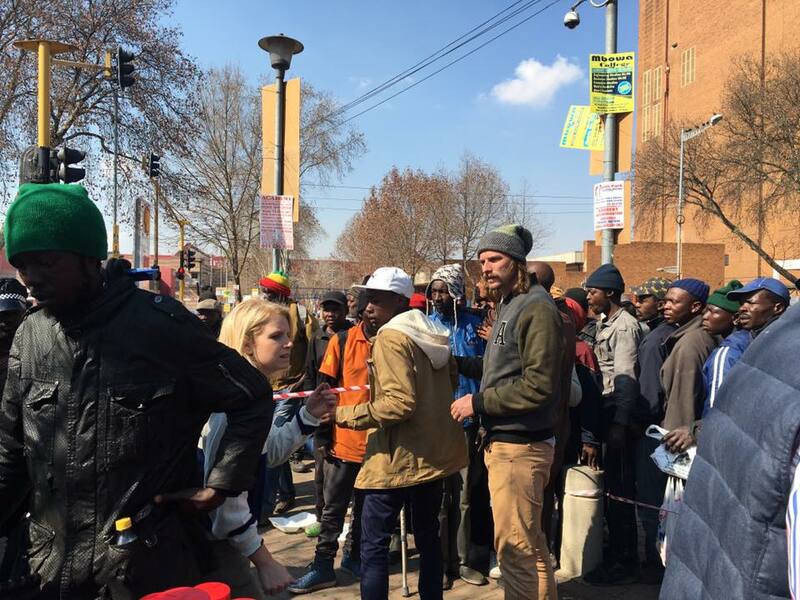 Hundreds that call the pavement their home became overwhelmed at the sight of a free blankets and queues quickly became a luxury. Bodies surged forward and before we knew it, it was no longer an act of goodwill. Snatching, grabbing and chaos ensued. Police eventually arrived to disperse the frenzied crowd. Although we hosted events here before, we won't be doing it any time soon. Many thanks to Warm the World for their never-ending support and enthusiasm. We promise our next distribution event will never be as chaotic. 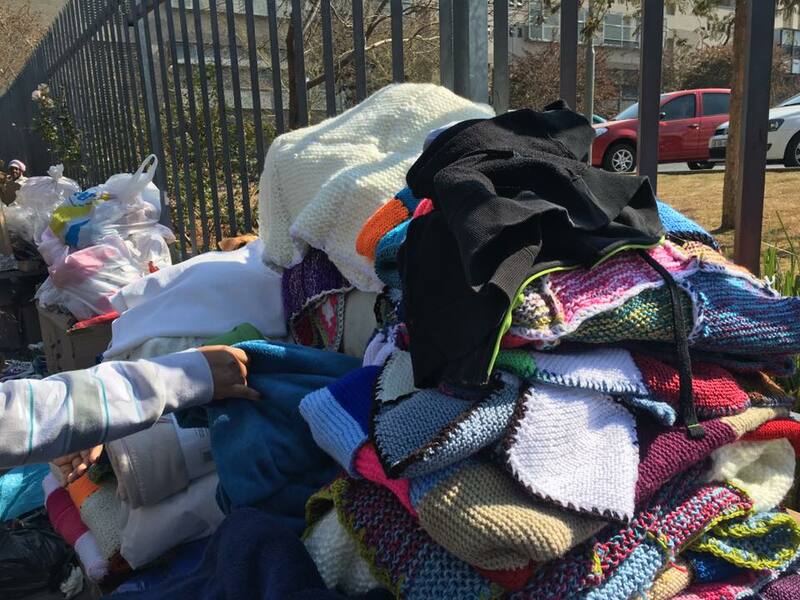 Dlala Nje will now partner with organisations within the inner city to ensure all donations - blankets or otherwise - will be put to best use. 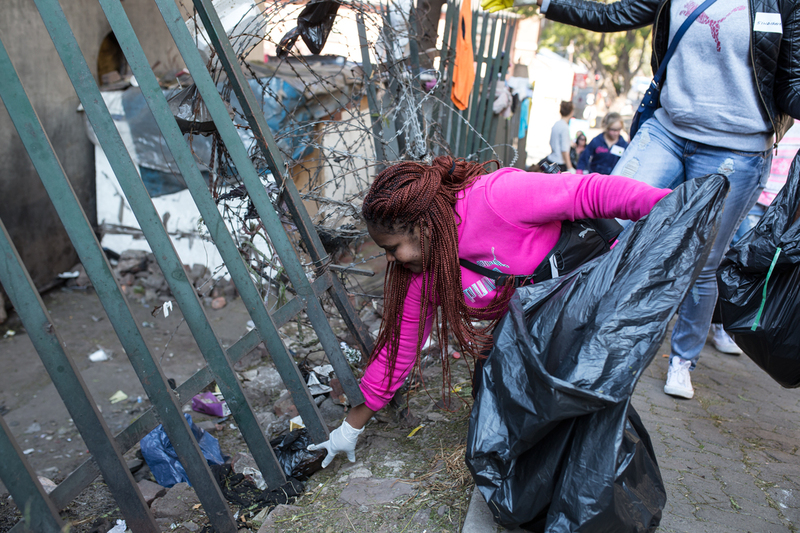 At the end of the blitz, we managed for fill over 60 black bags with rubbish harvested from Hillbrow's streets and pavements. 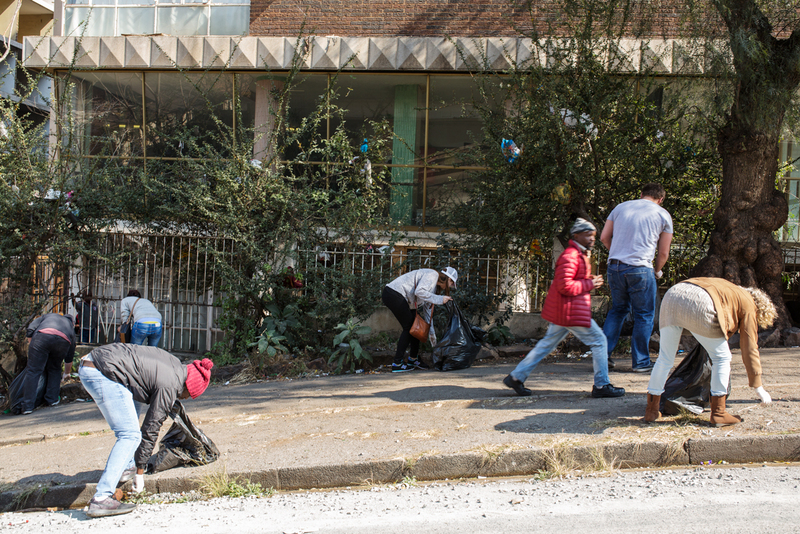 And while in many ways our litter drive didn't leave this misunderstood corner of Jo'burg spick and span, we are providing an example to the community of what our home could look like. 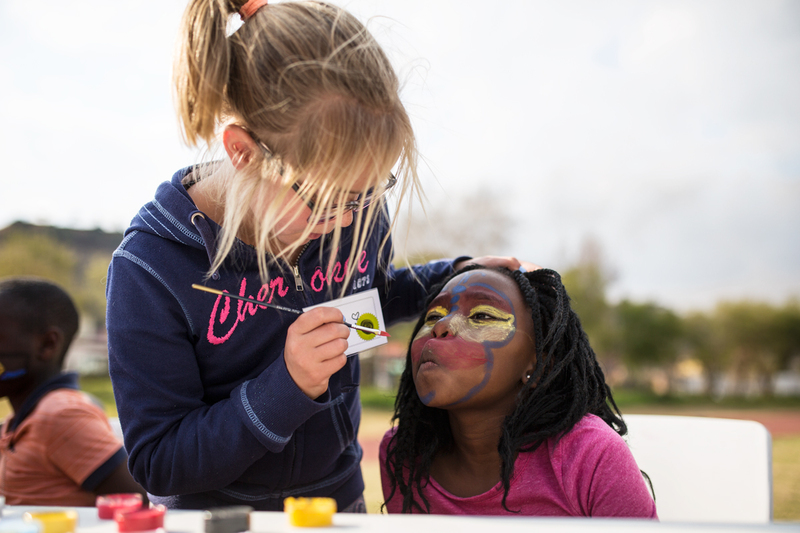 In the true spirit of Madiba: We’re hoping to inspire our community to be the best version of ourselves. And the sweetest moment of it all was the event that followed our community service. Our fantastic neighbours the Lions Rugby Union opened up their B field to play host to a massive party for all the children who took part in the litter blitz and blanket distribution. 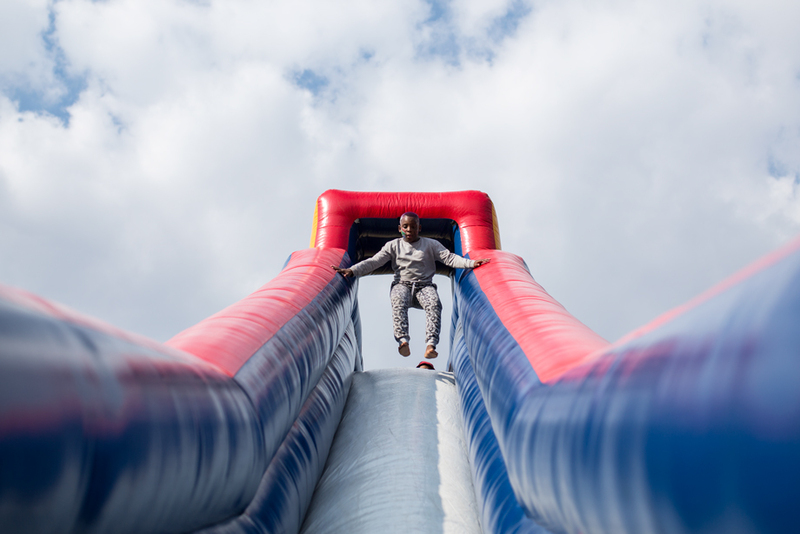 Jumping castles, face painting, soccer and more – the field was overrun with kids having the BEST time. A massive debt of gratitude to all of our sponsors on the day and every single person who rolled up their sleeves to give their 67 minutes to our community.